The Amazing Spider-Man 2 Marvel Legends Action Figures Wave 4 bring back generations of Spider-Man in an awesome 6-inch scale action figure form. 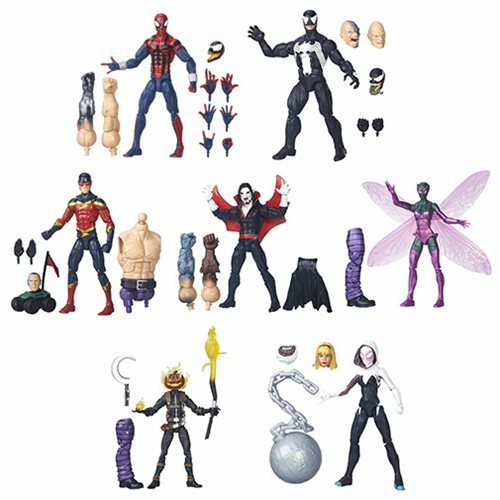 Each figure includes awesome accessories and amazing detail, plus a build-a-figure piece for Absorbing Man. Ages 4 and up.